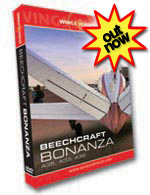 Bonanza Programme Introduction is now online and viewable here. Bonanza Desktop Wallpapers - see them here. Now Available - Only £24.99! 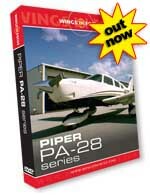 The Beechcraft Bonanza was first introduced in 1947, and is still in production today as the A36. The original A35 featured the distinctive V-tail. The aircraft is regularly described as a Rolls-Royce (or Cadillac) among light aircraft. Wings In Focus was featured in LOOP magazine's "100 Great Gift Ideas for Pilots this Christmas." Read press release Interested in future Issues?